Seventy-four (74) 'Western' class diesel hydraulic locomotives were built at BR's Swindon and Crewe Works in the period from 1962 to 1964. 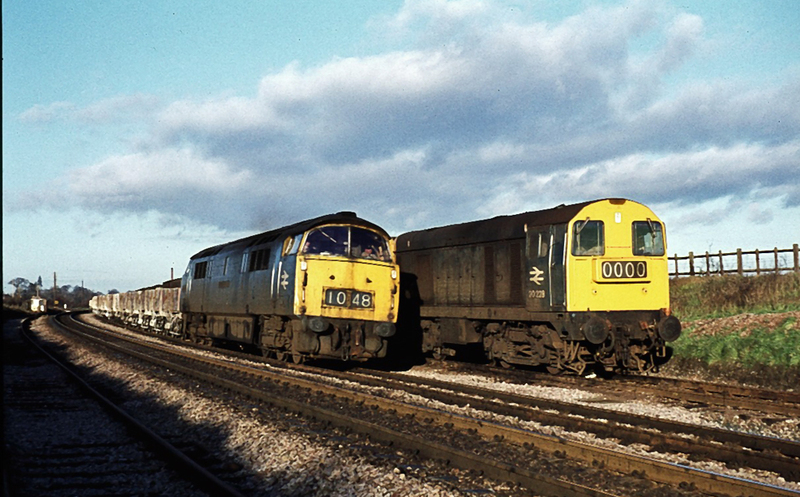 They carried the numbers D1000 to D1029 for the Swindon built ones and D1030 to D1073 for the remainder and they were known as 'Westerns' because they all carried names starting with the word 'Western'. The 'Western' class locomotives made occasional forays in Worcestershire but their use was never prolific. 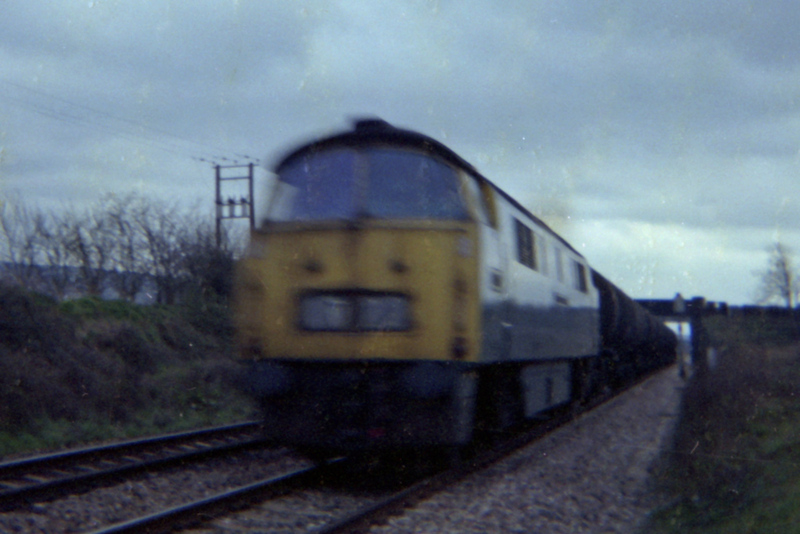 This blurred view shows an unidentified 'Western' class diesel hydraulic locomotive, with an oil train (probably a Llandarcy to Rowley Regis train), passing the site of the former station at Defford on the Birmingham & Gloucester Railway. Photograph taken by Andrew Smith in April 1972. 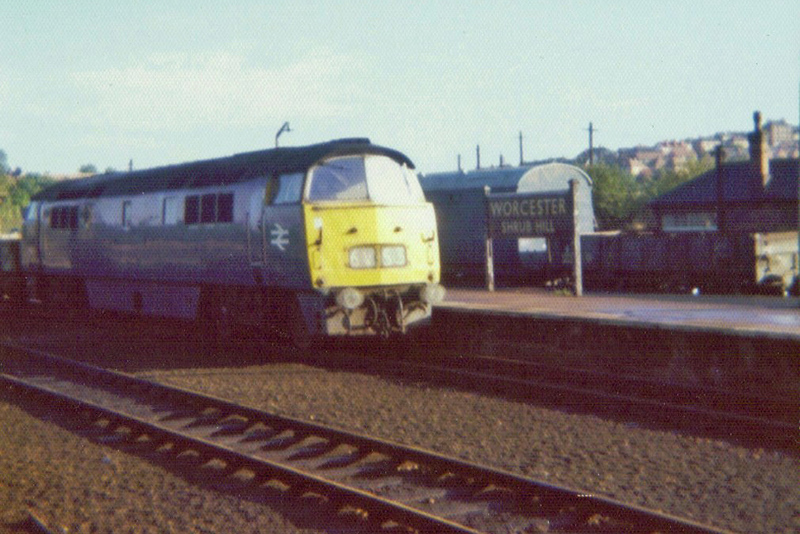 On 21st January 1973, Pete Wilcox photographed No.D1017 'Western Warrior' as it passed the north end of the depot at Worcester. The wasteland behind the locomotive is the site of the former Wagon Works whilst in the far distance beyond the piles of lifted trackwork were a good selection of wagons and carriages. 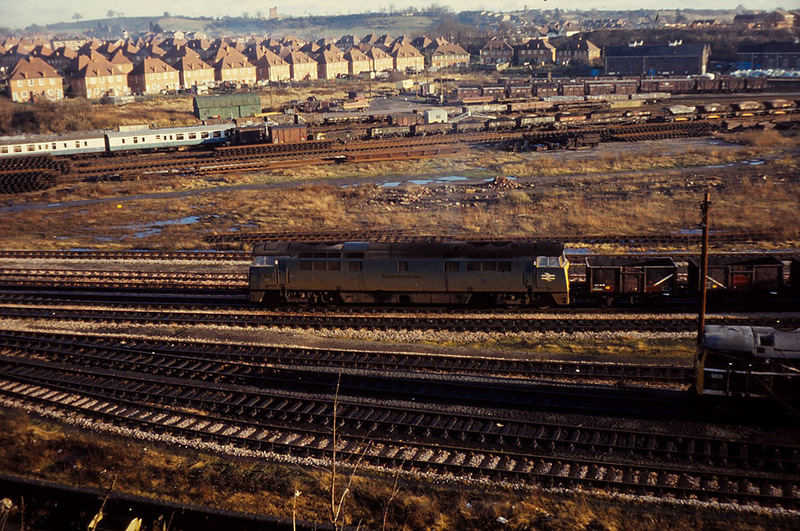 The diesel locomotive on the right hand side of the photograph is Bristol Bath Road's class 31 No.D5809. 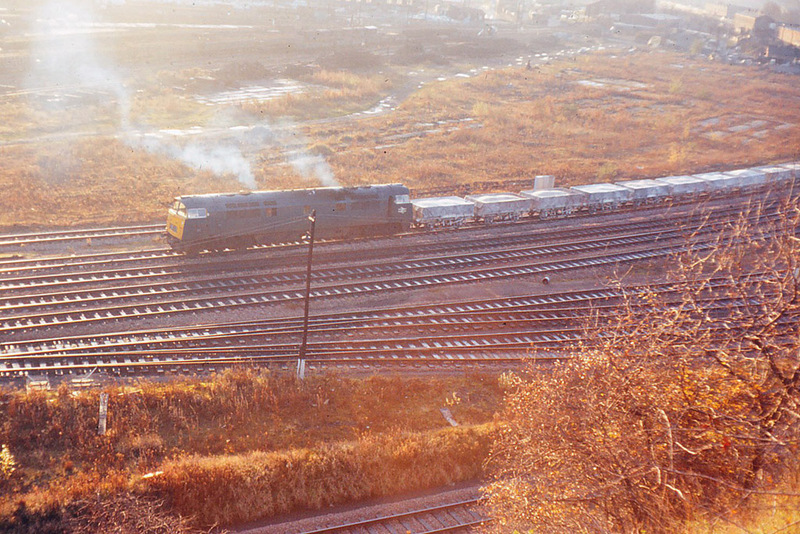 This photograph of No.D1023 'Western Fusilier' which was taken by Pete Wilcox on 15th November 1973 confirms that the 'China Clay' trains were indeed worked by 'Western' class 52 diesel hydraulic locomotives. This magnificent portrait of No.D1048 'Western Lady' with the Etruria - St Blazey china clay empties (train code No.6V92) was taken by Mike King (Chairman, Worcester Locomotive Society) on 8th December 1976. The 'Western' is passing class 20 diesel locomotives Nos.20228 and 20119 which are in the 'down' goods loop at Abbotswood Junction. Phil Bullock comments that this might be the last working of a 'Western' on the china clays. 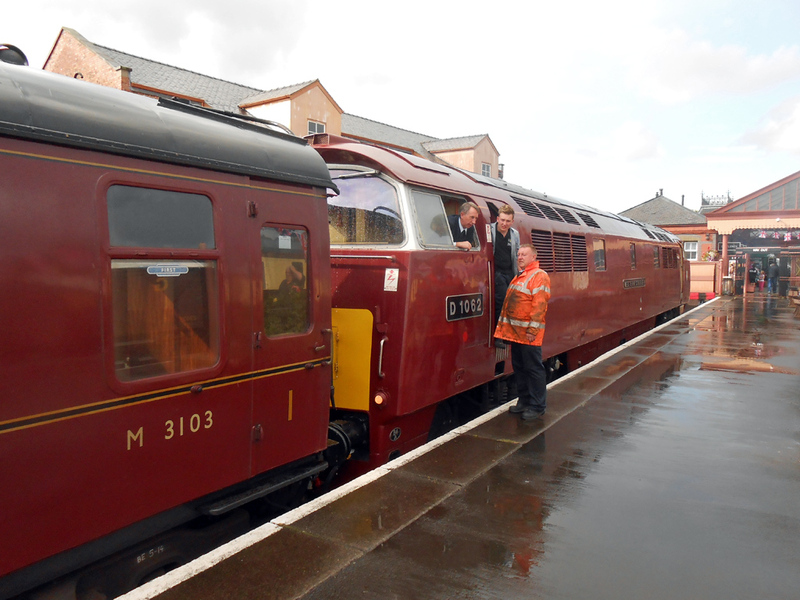 On Saturday 9th August 2014 a thunderstorm preceded the arrival at Kidderminster (SVR) Station of No.D1062 'Western Courier with the 15.40 service from Bridgnorth. Photograph taken by Andrew Smith.